This project, now in its second year, aims to support schools and colleges to address the challenge of teaching the new GCSE. It is not necessary to have taken part in year 1 to participate in year 2. 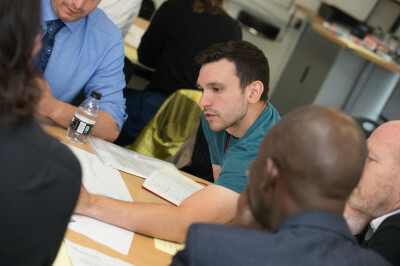 This year we will explore approaches to teaching proof and will focus on GCSE questions which have proved challenging and also improve department professional development processes for doing this. • Analyse and unpick teaching issues underpinning the challenging topic of proof and gain a deeper understanding of the prerequisites for teaching them. • Consider the implications for addressing these issues – both in the immediate teaching of pupils demonstrating those difficulties, but also the longer-term development of those skills across the curriculum. • Plan and teach more effective lessons that identify and address pupils’ difficulties in relation to proof. • Work collaboratively with colleagues both within school and outside to address these issues. The main requirement to take part is an enthusiasm for teaching maths and a desire to improve classroom practice! development within their department, and anyone else who wishes to improve their practice, but this combination is not essential. NQTs are welcome. Sessions will run from 4 – 6pm and a light meal will be provided. Training is delivered free of charge. To book a place or for further information, get in touch!